During a trip to Brazil, Defence Secretary Jim Mattis emphasised that military officers should avoid politicization. On the first stop on a four-country Latin American tour, Defence Secretary Jim Mattis this week argued for closer defence ties between the US and Brazil, the region’s biggest economy. Speaking at Brazil’s war college, Mattis stressed the need of regional cooperation and political solutions, especially on issues like the crisis in Venezuela, but when asked about the role of the military in politics, a question of increasing interest to Brazilians, he gave an answer that applies to both Brazil and the US. 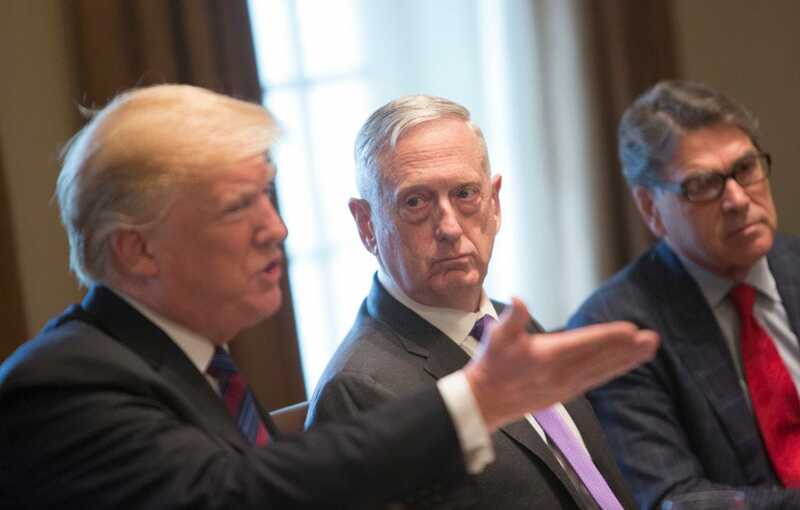 Chris Kleponis-Pool/Getty ImagesMattis with President Donald Trump at the White House. But he emphasised that the US military is and should remain under civilian control and warned against military officers taking a role in politics. Former military officers getting involved in US politics isn’t new. 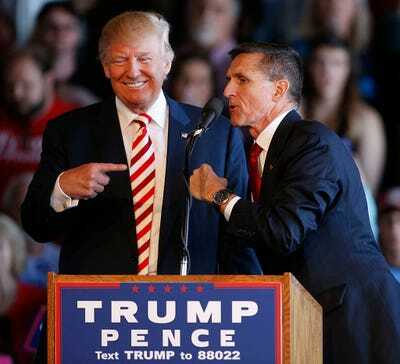 George Frey/Getty ImagesTrump with Michael Flynn at a campaign event. Mattis’ comments are likely to resonate more sharply in Brazil, which will vote for a new president in October. There are a number of candidates, but one of the frontrunners, Jair Bolsonaro – a former army captain who has compared himself to President Donald Trump – has spoken approvingly of the military dictatorship that ruled the country from 1964 to 1985 and promised a more prominent role for the military in his government. 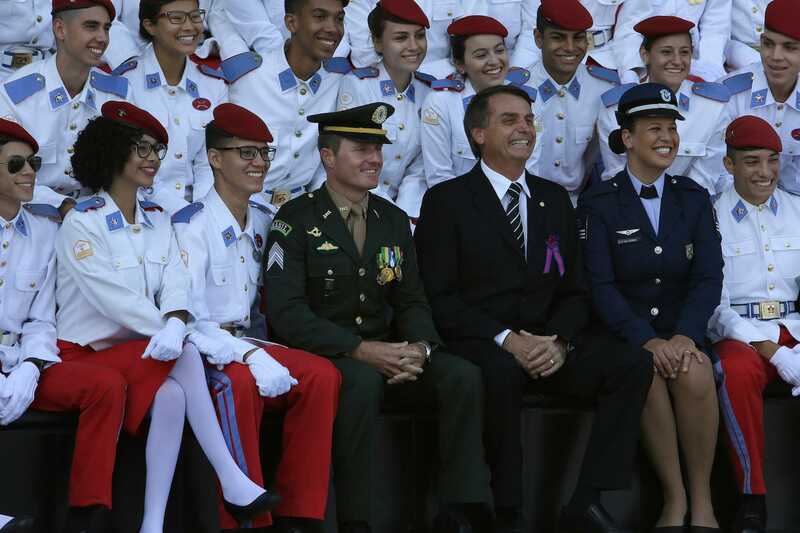 (AP Photo/Eraldo Peres)Brazilian congressman Jair Bolsonaro with soldiers and cadets at an Army Day ceremony, in Brasilia, April 19, 2017. The pick was seen as move by Bolsonaro to solidify his image as the law-and-order candidate. “And we’re going to have many ministers from the military as well, make no mistake,” Bolsonaro said. A Bolsonaro victory is not assured. Polls still show him in second place, behind former President Luiz Ignacio “Lula” da Silva, who is in jail on a corruption conviction and may not be eligible for office. The two-round format of the election also means another candidate could triumph. But his elevation of the military worries many in a country where memories of the dictatorship’s abuses endure. The current widespread use of the military for domestic security has already led to abuses. Mattis – who needed a Congressional waiver to be defence secretary because he hadn’t been out of uniform long enough – drew a distinction for military officers between being a government official and becoming a politician.